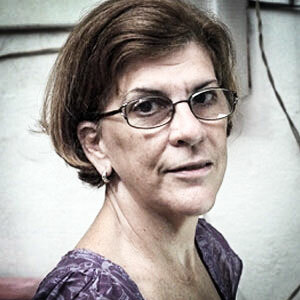 A pro-democracy activist and has led civil society activities in Cuba since 2009. She works to promote international solidarity with Cuba and to seek justice for the murder of her father Oswaldo Payá. She is the coordinator of Cuba Decide, an international campaign that seeks to carry out a plebiscite in favor of the first free and multiparty elections in Cuba in 67 years. A graduate with a degree in Philology, Yoani is a lover of technology, literature and journalism. She lives in Havana and tries every day to help Cuba build a plural, inclusive world fit for all Cubans. Currently, she works as a journalist and director of the digital newspaper 14ymedio.com. A Generation Y blog by Yoani Sanchez, 14ymedio.com has helped boost the alternative blogosphere in Cuba and has become a reference on Cuban affairs. They have a commitment to truth, freedom and the defense of human rights, without ideological or partisan ties. Blogger JOSÉ GABRIEL BARRENECHEA writes from his home in Santa Clara. "From Here" blog is written by Reinaldo Escobar. Born in Havana in 1947, he's a graduate from the University of Havana, Cuba and an active journalist who lives and writes from Havana. Regina Coyula was born in 1956 in Havana, Cuba and has a degree in History. Between 1972 and 1989, she worked in the Directorate of Counterintelligence Interior Ministry. This is her personal blog. Written by Victor Ariel González. A civil engineer by training, journalist almost by chance and an occasional blogger. He was born in Havana and now lives in the United States. Born in Havana in 1938, Fernando studied at the Piarist Adder and later graduated from Perito Mercantil. He worked in advertising as a market researcher and producer of commercials and television programs. He also served in the military. Passionate about literature, cinema, professional sports and nature, he's been publishing for many years. Rebeca is a teacher and self-proclaimed "quasi journalist". She has dabbled in radio and was a diplomat in Paris. An "independent artist", Rebeca is an active member of the Cuban Association of Craft Artists. She's an active blogger and loves to write. A belief that the dignity of every Cuban is made through the fruits of his/her labor. This is the first step in freedom and the pursuit of happiness. Every Cuban has the right to decide the future of the Cuban people. If you decide, Cuba decides. A blog about the ongoing oppression of the Cuban people and Cuba’s relations with the United States. Danilo uses his artistic skills to express his content with the ongoing oppression of the Cuban activists, dissidents, and protesters. Dissident blog is your go-to source for news and commentary on the ideology, history, and legacy of communism. Elliot Abrams gives his take on U.S. foreign policy, with special focus on the Middle East and democracy and human rights issues. 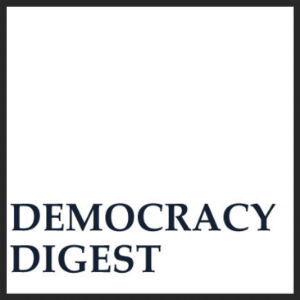 Democracy Digest provides news, analysis and information on democracy assistance and related issues. Mario Felix Lleonart is Cuban Baptist Pastor and religious freedom activist. Lia is a Cuban social acitivist. Her accounts have been printed in national magazines, though she mostly writes on her blog. Lilianne was inspired to blog about the social injustices in Cuba when she had her first child. 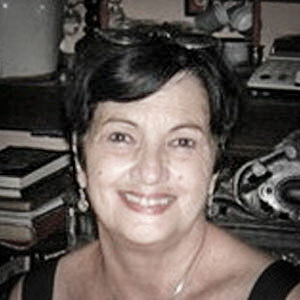 She blogs about how Cuban oppression affects the spiritual life and fate of each person. Coexistence is a digital publication of socio-cultural, pluralistic, participatory, respectful of differences and promotes a healthy diversity in which each person to find a space to share criteria and improve life character. The Information Center Hablemos Press (CIHPRESS) is a Cuban non - governmental organization, nonprofit, founded on February 3, 2009 by independent journalists and human rights activists for the purpose of gathering and disseminating news within the country and for the rest of the world. The Christian Liberation (MCL) Movement was founded in Havana on September 8, 1988 by Oswaldo Paya, Ramon Antunez, Dagoberto Capote Mesa, Fernando Arvelo and Santiago Cardenas. Soon its influence spread to the entire national territory. Its members and supporters include dedicated and courageous Cubans, believers and nonbelievers who identify with the proposals of the MCL. The vision of the movement is peaceful and democratic change and respect for human dignity. Photographic and audiovisual project for the support, dissemination and promotion of human rights with a focus from art to social application within Cuba. A non-profit organization defending the rights of Cubans. Jurisconsulto de Cuba aims to be a reference site specialized in Cuban legal issues. A legal expert of Cuban law, in particular, of the Constitution of the Republic. Translating Cuba is a compilation of translations from over 200 different Cuban blogs. Marc Masferrer is a veteran journalist who blogs about Cuban human rights and related topics. Ivan Garcia blogs about the daily life of the Cuban people.